BioArctic has developed a technology platform that has proven to be successful when the company’s first drug candidate was developed, the antibody BAN2401 for Alzheimer´s disease. Our mission is to improve quality of life for patients suffering from Central Nervous System (CNS) disorders. Patients with neurodegenerative diseases like Alzheimer’s disease and Parkinson’s disease will be treated with antibodies targeting the misfolded proteins in these disorders. Our technology is now applied to other CNS disorders like Parkinson’s disease, and novel antibodies are being developed. 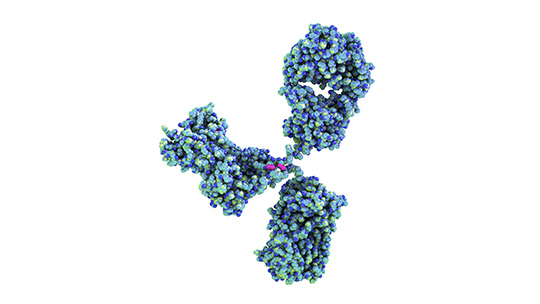 BioArctic has a proprietary technology by which therapeutic monoclonal antibodies can be developed. These antibodies are highly selective for aggregated/misfolded proteins involved in disorders such as Alzheimer’s disease and Parkinson’s disease. The key molecular event in these diseases is today believed to be protein misfolding and aggregation. The spreading of soluble aggregates leads to dysfunction of the nerve cells, cell death, brain damage and symptoms of disease. Each neurodegenerative disease is characterized through its unique aggregated protein. The hallmark of Alzheimer’s disease is amyloid-beta, whereas alpha-synuclein is the signature protein of Parkinson’s disease. An attractive treatment strategy is to eliminate these toxic proteins. The antibodies developed by BioArctic have the unique property to reduce the levels of the soluble, toxic aggregated/misfolded proteins (oligomers/protofibrils) in the brain. Reduction of these toxic proteins is believed to be of significant clinical value. BioArctic’s first drug candidate developed with our patented technology. BioArctic has developed antibodies that can remove or inactivate the toxic forms of alpha-synuclein.